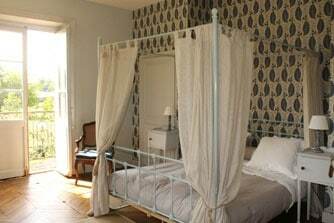 Our guest rooms are inside the Ettevaux Castle, for a welcoming family atmosphere. 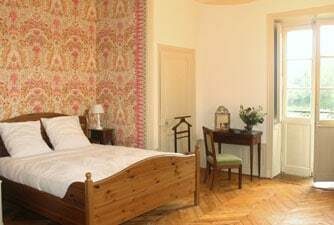 Each bedroom has quality bedding, a private bathroom and balcony. They have been decorated with care using hangings, and original furnishings, by Félicie, the lady of the house, who is an upholsterer. From the north windows of bibracte room, you can admire a panoramic view of Beuvray Mount, where lie the gallo-roman remains of Bibracte. From the south windows of Tulipier room, you will overlook ettevaux’s park, with bicentenary trees, one of which is a Tulipier (Tulip tree). On the west balcony of the rooms, you can fully appreciate the light until sunset, and the calm of the rest of the estate. On request, and depending on availability, we can serve you a home made local meal, prepared by Félicie, including a starter, a warm main course, cheese, and a dessert.